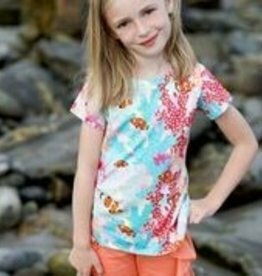 Short sleeve cotton slub tunic features neon sprinkle beading, gold lurex neckline piping and sequined and jersey applied age sentiment. 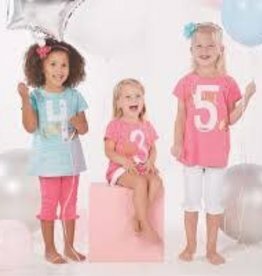 Jersey number applique has white mesh overlay with loose multi-color sequin filling. The best Peruvian Cotton with amazing had crocheted detail and appliques make these tops worth every penny. 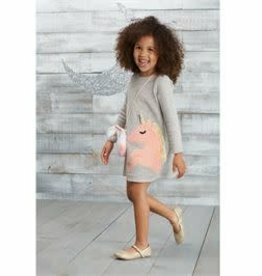 Soft on her skin and fun to wear, this will be her favorite "go to" item! 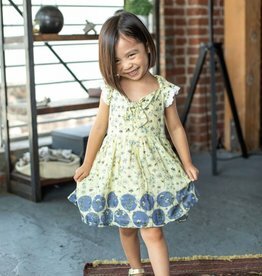 Our Favorite Designer for your Little Girl! These items are always made with the finest cotton, prints and exclusive laces and trims. 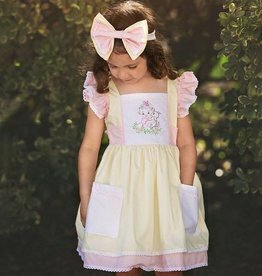 They know how to dress your little Lady! Lemon Loves Lime dry fit shirt is comfy and oh so versatile! Great colors that will go with just about everything she'll wear. Great design! Baseball T with 3/4 sleeve, ruffle at sleeve. Cotton 97%, spandex 3%. 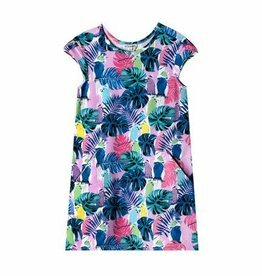 Little Girl's forever fun dresses with multi color prints and soft cotton material. 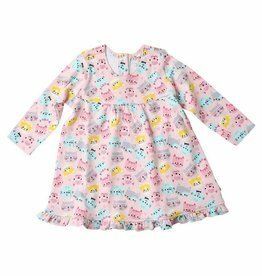 100% girl, 100% cotton and 100% cute! This dress is made with multi patterns of florals, geometrics of orange, pinks, yellows green and blue. Trimmed in beuatiful lace and other detailing. Made for serious twirling. 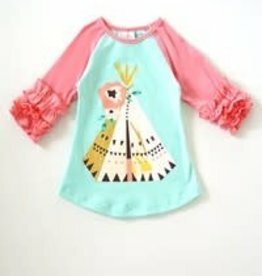 Beautiful tops for beautiful girls! Made to be stylish and wearable with many coordinating pieces. Patterns and solids. 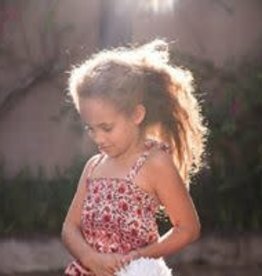 White crochet skirt for girls. 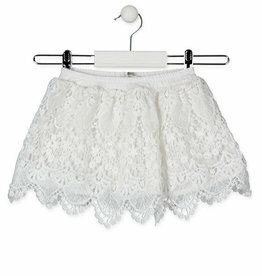 White elasticated waist skirt lined with white fabric. Scalloped edge. Rich colored velvet and colored fabrics are what is in! These beautiful skirts are made for the girl with a sense of style! 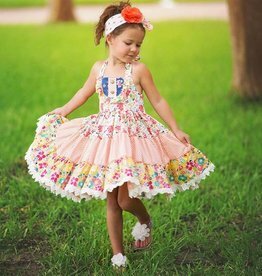 Fashioned with a flair to the skirt, great detailing and rich colors, she will love these skirts every time she has them on! 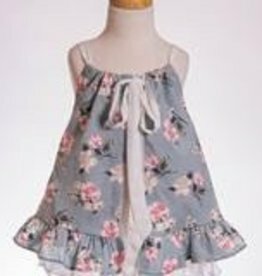 Sweet summer tops for your Little darling! These tops are made to stand out and confront the summer in style. Breezy looks and sweet prints make these tops her favorites for the summer. 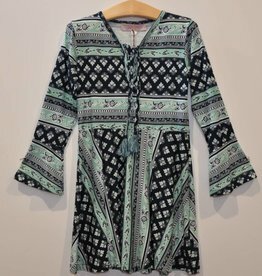 These simple yet fancy dresses can be worn as a dress or a tunic top. Soft lux fabric that will look great at any event. sleeveless or open shoulder, everything will look great when worn.